National Novel Writing Month is a fun, seat-of-your-pants approach to novel writing. Participants begin writing November 1. The goal is to write 50,000 words by midnight, November 30. I've been participating since 2007 which makes November a very crazy, stressful, interesting month. Why do I do it? Because it challenges me to be creative. However, going to do things a little differently this time. I'm in the midst of editing a story, which involves a lot of rewriting. I'm going to be a Nano rebel. I've checked in with the powers that be and the consensus is 1 hour of editing is equal to 1000 words, so shooting for at least two hours of editing a day. Yeah! It's doable. Plus the sparkly idea percolating in the back of my head may just get incorporated into the story. My son is also participating through the Young Writer's Program and he gets to set his own writing goal. He loves writing fan fiction and would probably write 8 hours a day if I let him. 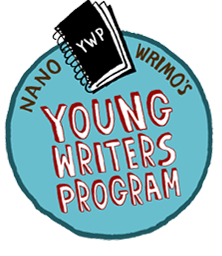 So if you have ever had the urge to write, jump in and join the rest of the nanowrimo's. For those nonwriters among us, check out the Irish Times new book club or Russia Beyond the Headlines article on children's literature and How Dr. Dolittle became Dr. Ayobolit.